Electric-assist options for bikes have been around for a while. In fact, the first e-bike patent goes back to 1895, some 120 years ago! However, it hasn’t been until recently that battery technology has caught up enough to provide a reliable and lightweight solution. The real amazing thing about a good e-assist system for Vermonters is that it extends bike mobility into a whole new realm. 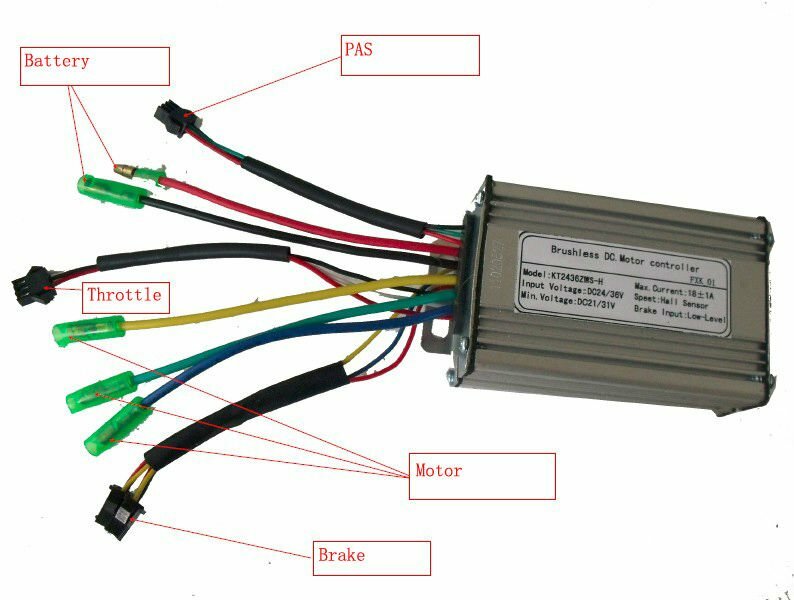 Any e-bike system includes some type of small motor. The motor may be placed either on the front or rear hub or a mid-drive motor that actually runs the chainwheel (the big gear or gears connecting your pedals and cranks). We call this type of setup a mid-drive motor system. So e-assist bikes either power the front or rear wheel or your chaindrive, as in a mid-drive. The other components of the system consist of a battery, controller (sort of the brains of the bike), a console display, and a switch control or throttle to change the level of assist. In order to be designated as a bicycle under federal regulations, an e-assist system can only take a rider up to 20 mph. The rider may pedal to go faster than 20 mph or may exceed that speed going downhill, but the motor will cut out at 20 mph when engaged. Those regulations keep e-bike within the parameters of the Slow Transportation Movement. The e-assist is a great way to gain control of the road and go faster in places where you need to, like on roads with narrow shoulders. And since you can travel nearly at the speed of cars when you want to, you are far more visible to motorists because you are in their view for a longer period of time. On top of that, you will actually see fewer motorists passing you because you are going faster. Of course, much of the time you might not be using your assist or deploying it at a very low level just to keep you moving. It's almost needless to say that a family cargobike would be utterly useless in many parts of Vermont without the e-assist help. In addition, seniors, folks with special needs, and anyone who needs to extra boost will be replacing car trip. Would we really rather that kids and all these people lead lives confined to cars and SUVs? 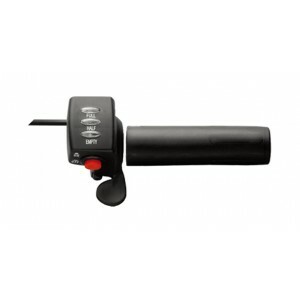 Direct drive motors are generally silent and have few moving parts. They are also capable of regenerative braking - generating power back to your battery when braking. Geared hubs make a small amount of noise (the gears tuning inside), but are smaller and lighter than direct drive motors and can have more torque (hill climbing, stuff hauling power) for their size. They also have no rolling resistance when the motor is not engaged (they freewheel), unlike direct drive hubs which have some drag. If you want more information on this whole hub business, there's lots of great info on other sites. So, perhaps we can save our breath here. For two great treatments on this subject, try the hub motor page on either Electric Bike Report or Electric Bike Review. For a fantastic overview of the components and technology of e-assist take a look at this guide from the folks at Grin Technologies in Vancouver, BC. Here's the basic arrangement of e-bike systems. These are all popular conversion kits, but they represent essentially the same type of systems you will find on most e-bikes. Conversion kits allow you to turn any bike into an e-bike! This Ezee motor is for the front wheel. It's a geared motor so it has more torque for its size and weight, but it doesn't have the capacity for regenerative braking. The Bafang is a mid-drive motor that works right off of your chainwheel (the big gear connected to the pedals). It is highly efficient because it is integrated with the gears in the rear of the bike. The BionX is a direct drive motor used on the rear wheel exclusively and features regenerative braking. Direct drive don't have any moving gears inside. Here are the most basic components you will find on most e-bikes and conversion kits. The controller is the brains of the e-bike and can be placed anywhere on the bike. It's usually in the rear, but on some systems like the BionX it's built right into the hub motor. Batteries come in all shapes and sizes. Some fit under or on top of a back rack and other can be mounted on the bike frame. The console can tell you about how much power you are using, how fast you are going, the power you have left and much more. Here's a nice half-throttle. You can see the black twist throttle near the brake lever. 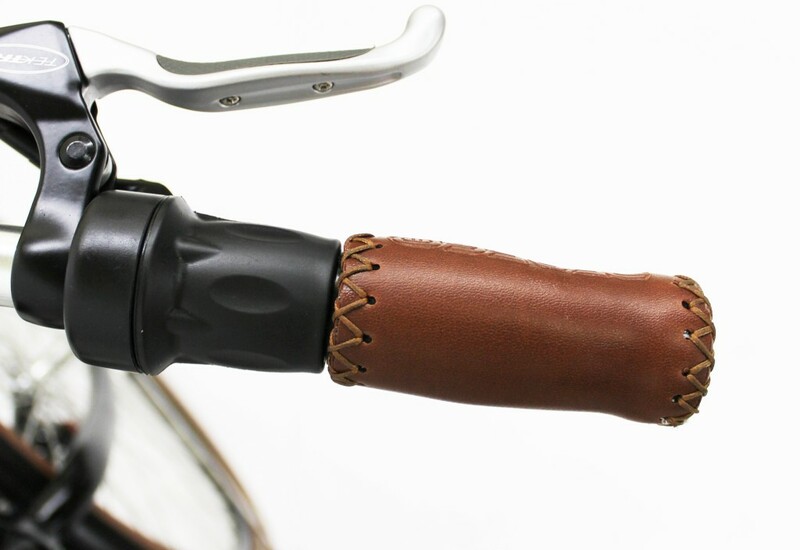 The brown part is just the handlebar grip. This is a thumb throttle. It's really easy to use, but some folks like a regular throttle. Throttles are real important on cargobikes, especially when trying to get started on hills. 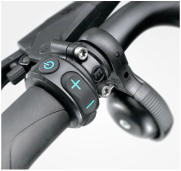 On e-bikes with pedal assist you might have a real sleek plus and minus buttons like this one to control the level of assist you desire. These brakes have an electric cutoff that disengage the assist power once you engage the brakes. That way when you want to stop, so will the motor. Check out this really great free guide to electric-assist by the folks at Momentum Magazine. And we don't have to duplicate all the information that's already on the internet. To find out more about e-bikes and conversion kits just check out Electric Bike Report﻿ or go to Electric Bike Review. They are both pretty decent if you can deal with all the advertising. On those sites you will find info about e-bike kits, inexpensive solutions, e-trikes and much more.